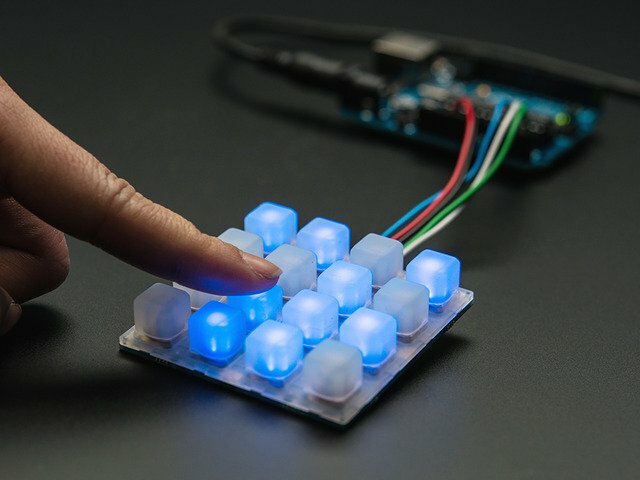 Programmable RGB LED Sequencer « Adafruit Industries – Makers, hackers, artists, designers and engineers! 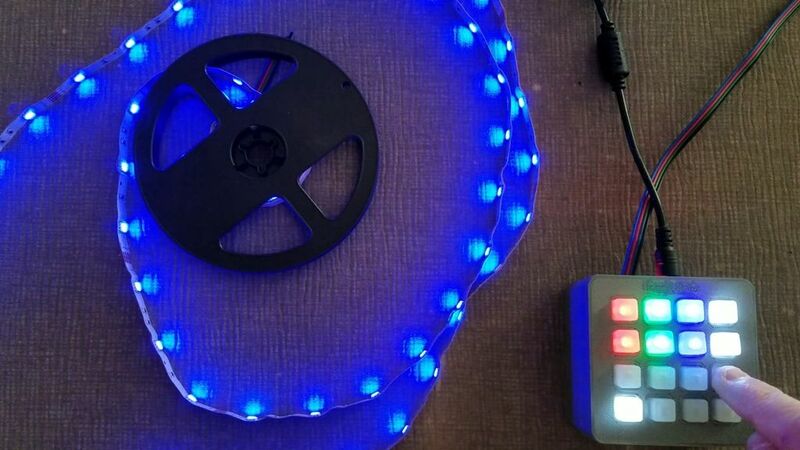 I’m going to show you how to build this simple, programmable RGB LED strip controller using an Arduino Uno (or Nano), an Adafruit Trellis, and a handful of other parts. The Adafruit Trellis is one of my favorite new toys from Lady Ada and crew. First of all, it’s a mere $9.95 for the board, and another $4.95 for the silicone elastomer button pad (prices as of this writing). That’s a great deal for a 16-button 4×4 matrix with LED capability. 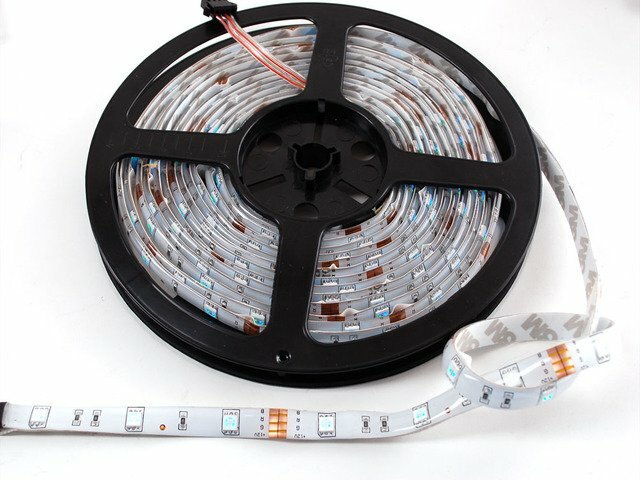 It doesn’t come with any LEDs mounted, you need to supply them, but that gives you the flexibility to choose the colors you want (and keeps cost and complexity down vs building in addressable LEDs). To build this project like mine, you’ll need a handful of 3mm LEDs. I used 2 red, 2 green, 2 blue, 4 yellow, and 6 white.